staying warm this winter - for less! For those who burn logs to help keep their house warm, now's the time to get the supplies in! Summer is ideal for taking a logs delivery so they can dry out that little bit more in the warmer weather ready for the chilly autumn and winter ahead. 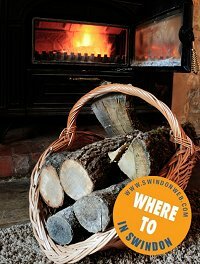 So if you have a logburner or are thinking of getting one, here's our quick guide to what makes the best burning timber (in case you didn't know) and where's best to buy top-quality, seasoned logs in Swindon. The best logs for heat are not only dry logs, but those with a minimal water content - and seasoned logs are those that are cut and then left for months (the best for years) to dry out. Cheap logs are best avoided as they will most probably have been freshly cut recently (known as 'green') and be unseasoned. Not only will not they give out little heat, but will also be difficult to light. Crucially, burning unseasoned logs will soot & tar up your chimney far quicker. Kiln-dried logs are the best logs you can buy for heat output because the kiln-drying process guarantees the moisture content is less than 20%. Keep them dry and they'll be ready to burn without seasoning. Which sort of wood burns best? ASH - if you can get hold of them, Ash logs are definitely the best. Plenty of heat and long-lasting. Burn well when green as well due to their low water content. HAWTHORN – also excellent. A very slow burning log. BEECH - ideal when well-seasoned. APPLE or PEAR - another slow burner and with good heat. Lovely scent! OAK - very good but they must be well-seasoned, perhaps at least a year. Green oak logs are very difficult to burn. You'll often see signs on the side of the road offering logs for sale, but we'd recommend buying from specialist suppliers - people who grow the wood themselves and cut, prepare and season the logs well in advance. Grown and seasoned at Flaxlands Woodlands near Purton, Swindon, for over 50 years. All hardwood timber is locally managed, consisting of mainly ash, beech, hazel, and sycamore. They split & store the logs in barns to allow air to circulate and enhance the seasoning process ensuring a high quality product. They also kiln-dry logs too. 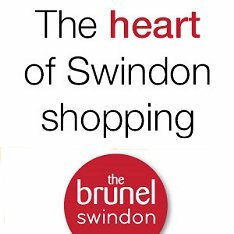 FREE DELIVERY in Swindon, 7 days a week.